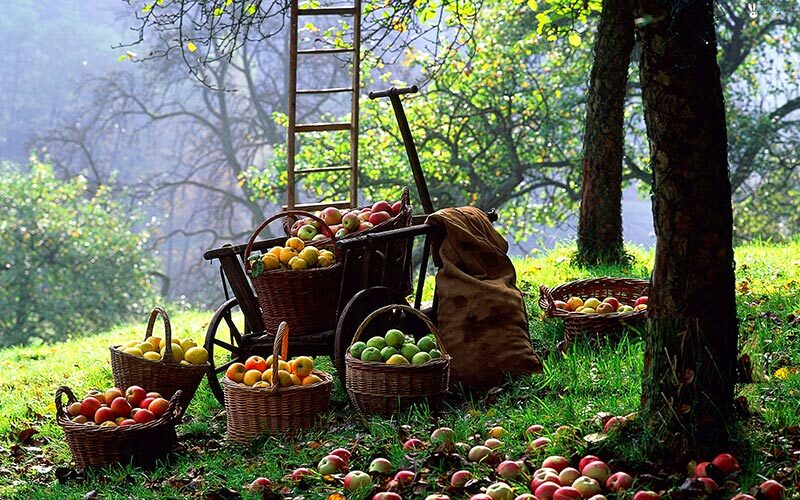 Ever wish you could have an apple orchard in your backyard? You can—in the space of a single tree—if you plant a hedge of dwarf apple trees or an apple espalier. Look for disease-resistant trees that give you the ability to grow organic fruit or to use fewer chemicals. Maintenance is easier, too. You need to choose a rootstock. All apple trees sold have 2 parts: a “rootstock” or foundation and a “scion” or top portion which determines the fruit variety. A rootstock can be a seeding (which produces a full-size tree) or it can be “dwarfing” or “size-controlling” (which produces a smaller tree for easier care and harvest). For dwarf trees, make sure that the rootstock is specified. A Bud 9 is a common, hardy tree that’s easy to train for USDA Climate Zones 3 to 5. The M9 is probably the most widely planted rootstock, though it would die in frigid winters. 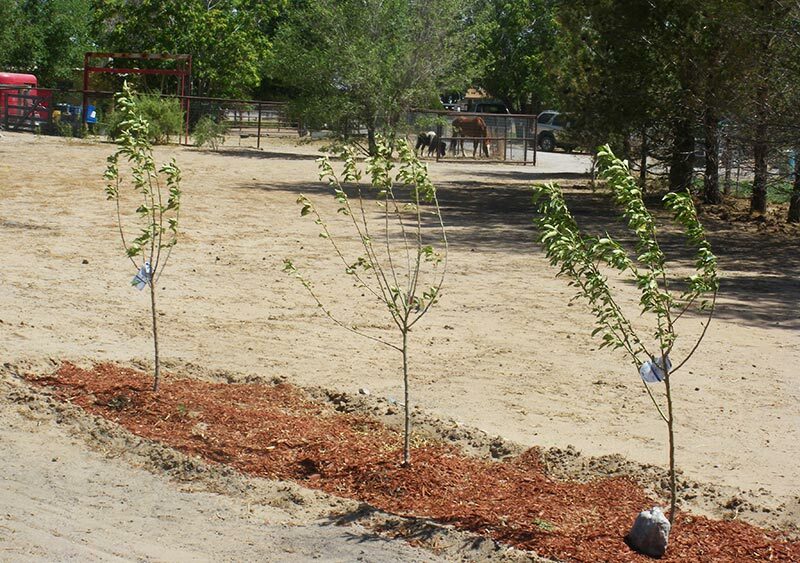 Buy dormant, bare-root, 1-year-old nursery trees with good root systems. Dwarfs and semidwarfs will bear in 3 to 4 years, yielding 1 to 2 bushels per year. Standard-size trees will bear in 5 to 8 years, yielding 4 to 5 bushels of apples per year. The variety of apple selected should be based on fruit characteristics, bloom time and pollen compatibility. Consult a local nursery to see which trees are potential cross-pollinators in your area. For best results, include a ‘Grimes Golden’, ‘Golden Delicious’, ‘Red Delicious’, or ‘Winter Banana’ in your planting. These varieties are known pollinators. Crabapple trees can also be used as pollinizers if they bloom at the same time as the desired variety. Nursery catalogs will provide pollination charts. Not every apple grows everywhere. Each variety has a specific number of days needed for fruit maturity. Tree tags don’t always tell you where the variety grows best, but many catalogs do. Also, check with your county extension agent for a specific recommendation for your area. 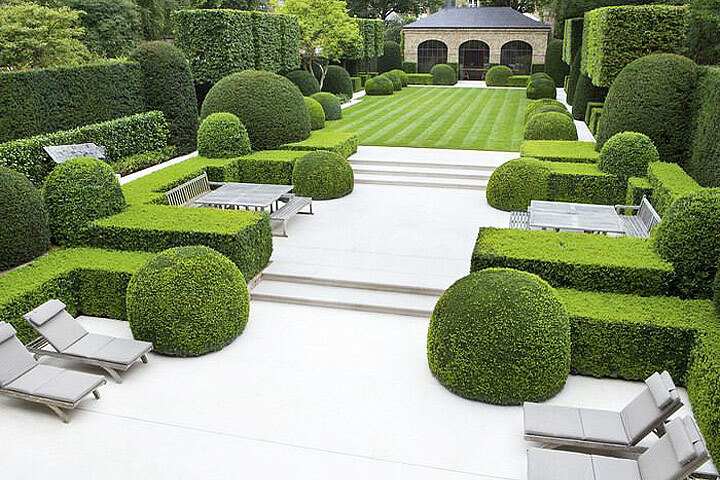 As a general rule, if a tree is termed hardy, it grows best in Zones 3 to 5. If termed long-season, apple quality will be best in Zones 5 to 8. Each variety has a number of chill hours needed to set fruit (i.e., the amount of time temperatures are between 32 and 45 degrees F). The farther north you go, the more chill hours an apple variety needs to avoid late spring freeze problems. Check tree tags for chill hour information or ask the seller. Take a soil test prior to planting your apple trees. Your local County Extension Center can instruct you in collecting the soil sample, help you interpret the results, and provide valuable information about the soil in your county. Results from the soil test will determine the soil amendments necessary to correct nutrient deficiencies and adjust soil pH. The amendments should be worked into the soil to a depth of 12 to 18 inches where the tree will root, not just the planting hole. Apple trees need well-drained soil, not too wet. Soil needs to be moderately rich and retain moisture as well as air; mulch with straw, hay, or some other organic material to keep soil moist and provide nutrients as they decompose. Choose a sunny site. 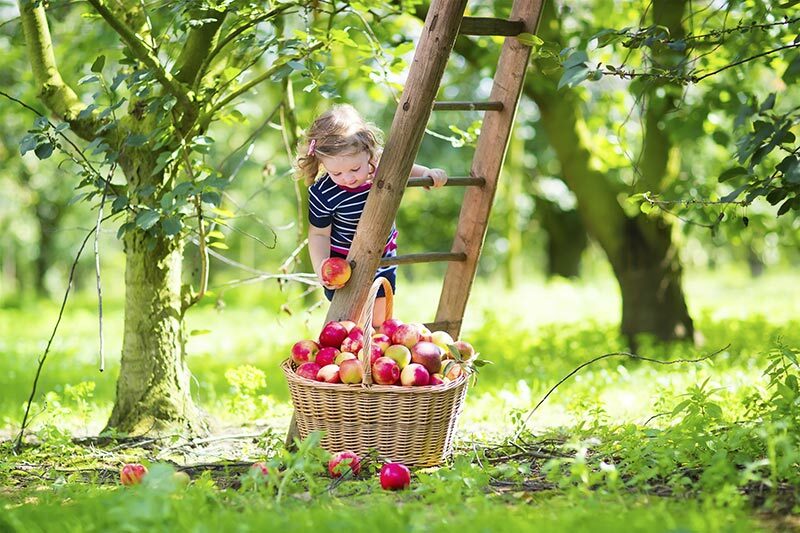 For best fruiting, an apple tree needs “full sunlight,” which means six or more hours of direct summer sun daily. The best exposure for apples is a north- or east-facing slope. Tree spacing is influenced by the rootstock, soil fertility, and pruning. 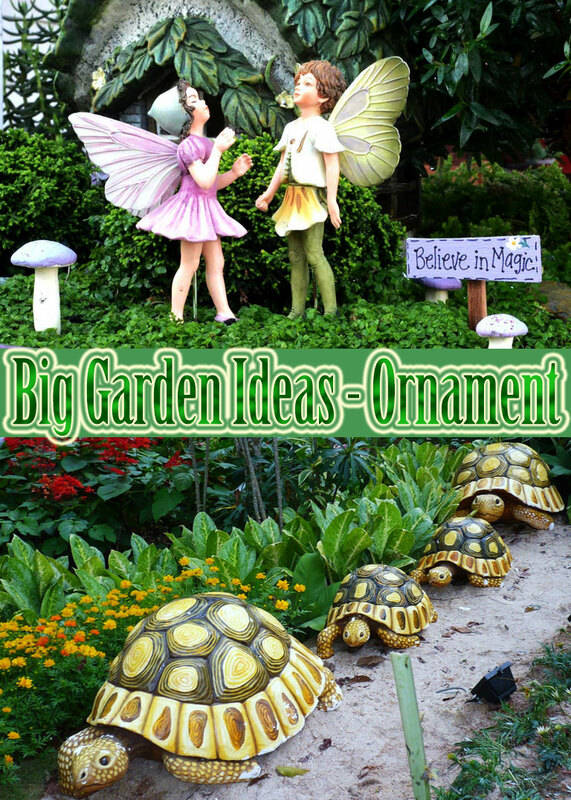 A seedling or full-size tree should be planted about 15 to 18 feet in a row. A dwarfing rootstock might be 4 to 8 feet in a row. Dwarf apple trees are notoriously prone to uprooting under the weight of a heavy crop, so you should provide a support system for your hedge. You can grow your trees against a fence, or you can provide free-standing support in the form of a trellis. Make sure the tree will not be planted in a “frost pocket” where cold air settles in low-lying areas. Choose a higher site with a slip if possible so that cold air will flow away from the trees. Do not plant trees near wooded areas or trees. Before planting, remove all weeds and the grass in a 4-foot diameter circle. After you purchase the tree, protect it from injury, drying out, freezing, or overheating. If the roots have dried out, soak them in water about 24 hours before planting. Dig a hole approximately twice the diameter of the root system and 2 feet deep. Place some of the loose soil back into the hole and loosen the soil on the walls of the planting hole so the roots can easily penetrate the soil. Spread the tree roots on the loose soil, making sure they are not twisted or crowded in the hole. Continue to replace soil around the roots. As you begin to cover the roots, firm the soil to be sure it surrounds the roots and to remove air pockets. Do not add fertilizer at planting time as the roots can be “burned”. Fill the remainder of the hole with the loose soil, and press the soil down well. 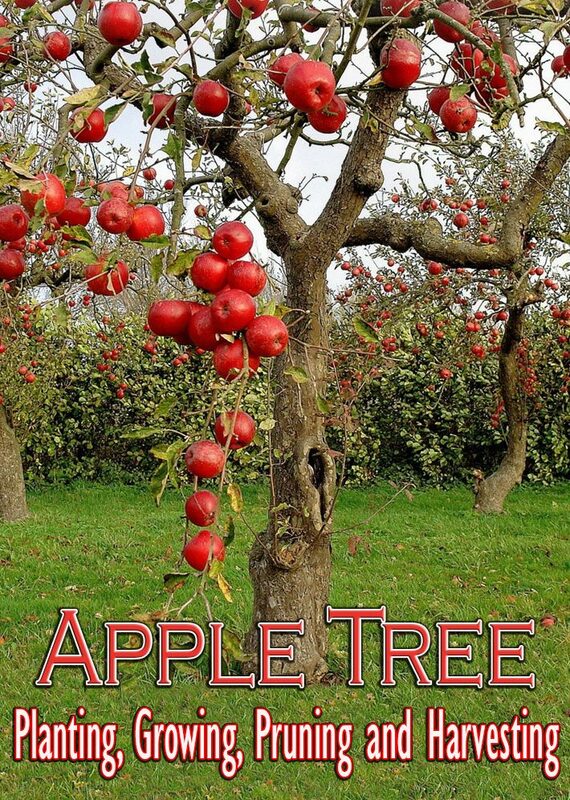 Most apple trees are grafted. The graft union must be at least 2 inches above the soil line so that roots do not emerge from the scion. The graft union (where the scion is attached to the rootstock) can be recognized by the swelling at the junction. Rub off misplaced buds before they grow into misplaced branches. Bend a stem down almost horizontally for a few weeks to slow growth and promote branches and fruiting. Tie down with strings to stakes in the ground or to lower branches. 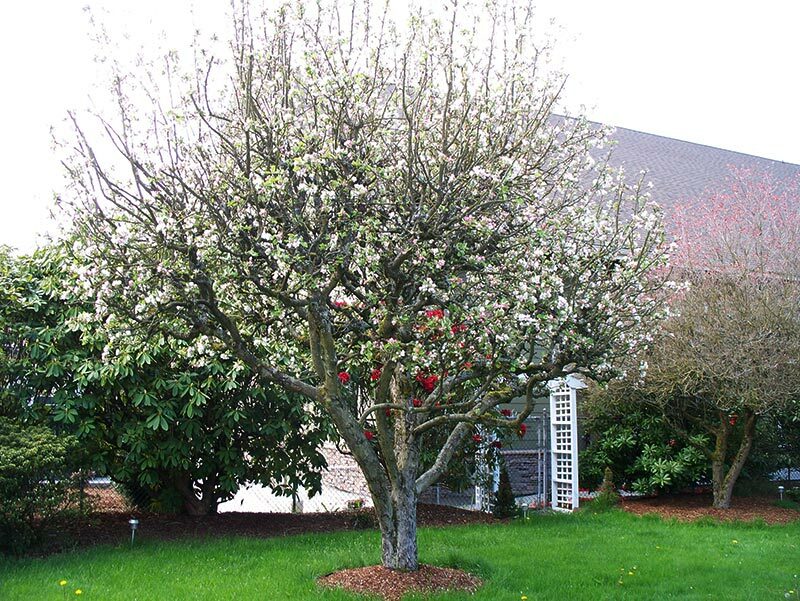 Once an apple tree has filled in and is bearing fruit, it requires regular, moderate pruning. Prune your mature tree when it is dormant. Completely cut away overly vigorous, upright stems (most common high up in the tree). Remove weak twigs (which often hang from the undersides of limbs. Thin or remove excess fruit. This seems hard but this practice evens out production, prevents a heavy crop from breaking limbs, and ensures better-tasting, larger fruit crop. Soon after fruit-set, remove the smallest fruits or damaged ones,leaving four inches between those that remain. Keep deer at bay with repellents, fencing, or deer-resistant plants; deter mice and rabbits with wire-mesh cylinders around the base of the tree. Sprays may be needed for insects like Japanese beetles, although one of the worst culprits, the apple maggot, can be trapped simply enough by hanging one or two round, softball-size balls, painted red and coated with sticky “Tangle-Trap,” from a branch in June through the summer. Reapply the sticky goo a time or two, as necessary. Fend off diseases by raking apple leaves, burying them beneath mulch, or grinding them with a lawn mower at season’s end. 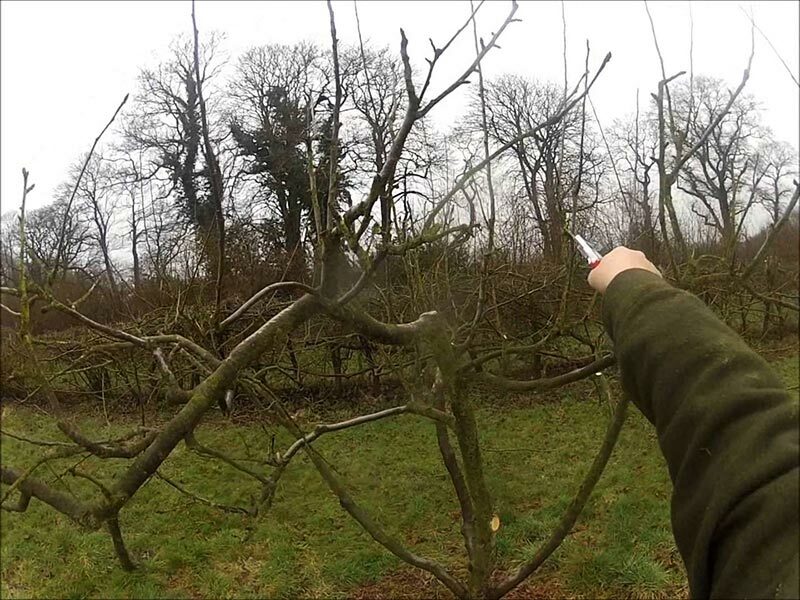 Pruning reduces disease by letting in more light and air. 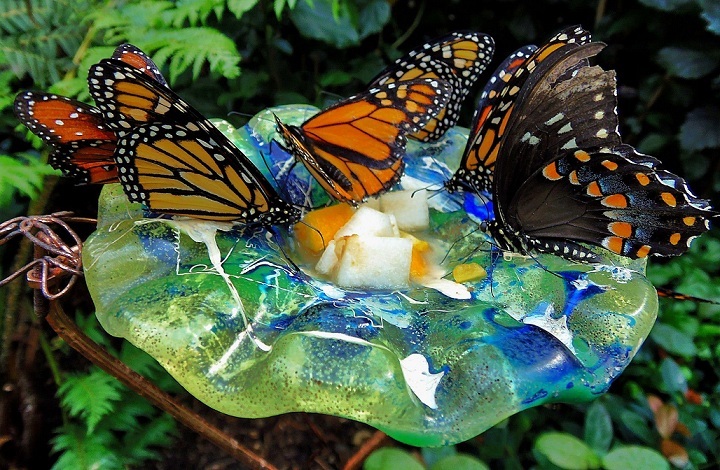 To keep insects away from apple trees, make a solution of 1 cup of vinegar, 1 cup of sugar, and 1 quart of water. Pour this mixture into a widemouthed plastic jug. Hang the jug, uncovered, in your apple tree. Harvest Patiently. After all this pruning and caring, be sure to harvest your apples at their peak of perfection. At this point, the stem should part readily from the branch when the fruit is cupped in the palm of your hand and given a slight twist around, then up. Apples keep well for about six months at temperatures between 32 and 45 degrees F.
Beyond climate considerations, how will you use your apples? Do you love to bake apple pies? Or, perhaps you just want apples that taste far better than what you could buy in a grocery store. A young dwarf tree produces about 1 ½ bushels of fruit—and even less when the tree is part of an apple hedge. So, if you’re interested in baking lots of ‘Cox’s Orange Pippin’ apple pies, you’ll need to plant several trees of that variety to get enough fruit. If you have no particular culinary goal, try planting one each of different varieties that ripen over the entire harvest season. Then you can enjoy regular apple tastings and still have enough fruit on hand for a “mess” of cooked apples. Plant disease-resistant apple varieties such as ‘Liberty’, ‘Jonafree’, ‘Macfree’, and ‘Williams Pride’. 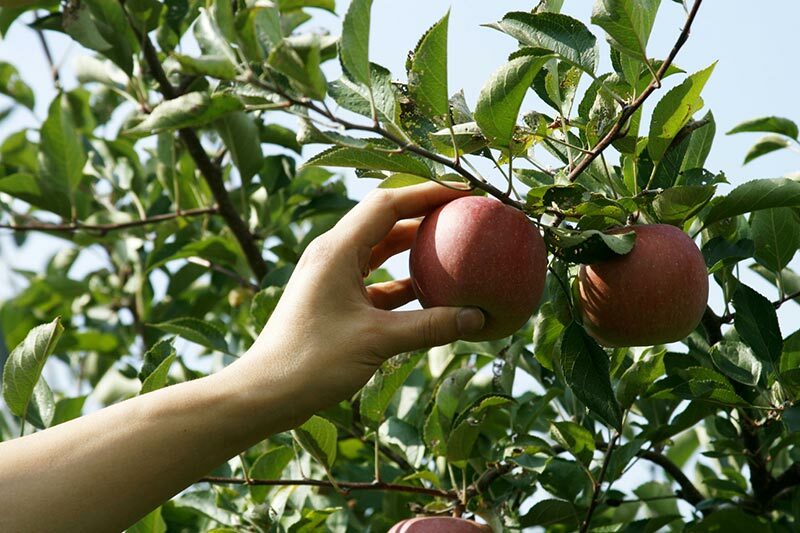 Seek out the advice of local orchardists about the varieties that will do well in your area. Do the bulk of your planning from an easy chair, with a half-dozen nursery catalogs in your lap!